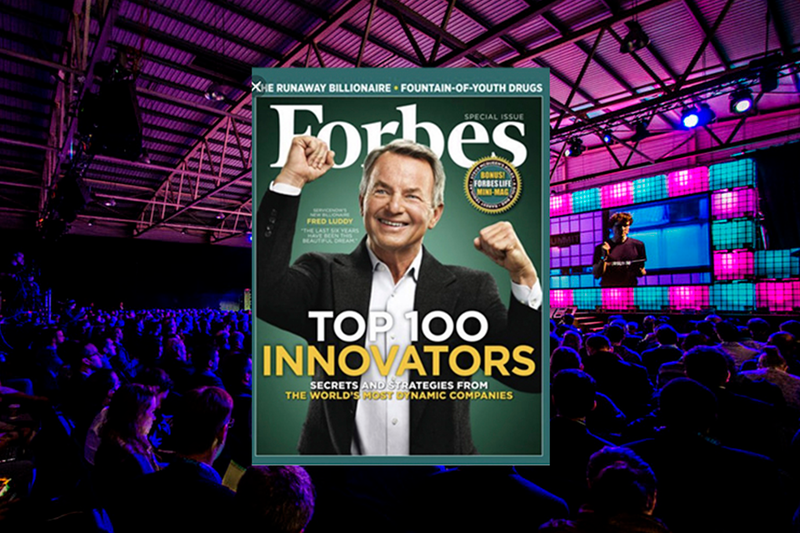 Forbes lists Apply as one of the most disruptive enterprise-focused tech startups at Web summit. With a sold-out crowd of over 70,000 attendees, the WebSummitconference in Lisbon lives up to its billing as the largest tech conference in the world. Making sense of this week’s extravaganza was no mean feat, as startups, established companies, investors, executives, press, and entrepreneurs from all walks of life squeezed into the capacious Altice Arena. My goal: discover the most disruptive enterprise-focused tech startups. Given WebSummit’s policy of featuring a vast throng of startups with numerous focus areas rotating daily during the four-day event, uncovering these gems in the rough took some digging. Here are the highlights. If you want to know what a data scientist’s pet peeves are, ask a data scientist. The data scientists at Meeshkan found that what frustrated themselves the most was running a complex machine learning (ML) model training job overnight, only to come into the office in the morning to find that some small bug tanked the entire job. Meeshkan addressed this problem by developing an ML scheduler that takes advantage of idle CPU time across the organization, thus enabling data scientists to run jobs whenever convenient. The result: substantial increases in ML model training speed across a broad range of ML libraries in Python, Scala, and R – languages of particular interest to data scientists. Meeshkan also built a reactive interface that leverages Slack , Messenger, and WhatsApp. Another machine learning-centric company with an entirely different value proposition: Domo. Domo uses ML to connect people and systems to data, including dark data – the data that live in spreadsheets and other files scattered across laptops, shared server volumes, and elsewhere in the enterprise. Domo is cloud-based and entirely mobile, bringing information together into a ‘single pane of glass’ that gives all people access to the data they need to get their work done, from techies to top executives – some of whom find themselves checking the state of their business on their phones several times per day. Cinchy takes a different approach to data collaboration. Leveraging straightforward integration, the Cinchy platform provides a business-friendly interface for viewing and changing data across all the applications important to the enterprise. Cinchy supports comprehensive data governance, giving admins the ability to create and enforce data policies across the organization. Of particular note: Cinchy’s simple but powerful query engine, giving both SQL newbies and experts alike the ability to build complex joins and other queries with drag-and-drop simplicity. In the burgeoning cloud-native, containerized environments that characterize modern IT, building apps should be as simple as choreographing microservices. At least, that’s the premise behind Asyncy, a company that has taken the bold step of creating Storyscript: its own high-level, goal-oriented programming language for automating such orchestrations. The Asyncy platform is both free and open source, and runs as a Kubernetes plugin. Asyncy’s challenge now is to build a vibrant open source community, thus creating a critical mass of Storyscript developers. I also ran into Apply Digital Systems, a recent entry into the crowded no-code development platform space. Given the dozens of vendors in this segment we’ve spoken to over the last couple of years, I didn’t expect to find one at WebSummit with a well-differentiated value proposition, so I was pleasantly surprised. Apply Digital Systems takes a design-centric approach, even starting the development process by importing Photoshop files. It then offers a clean no-code UI creation tool, as well as a content management system, integration capabilities, and analytics. What makes Apply Digital Systems special, however, is what it doesn’t have: a way to create business logic. Where other tools struggle with database logic, visual workflows, rules engines, or wizards, Apply simply exposes the logic in the applications it integrates with. In essence, Apply offers a ‘platform on top of platforms,’ offering non-technical application builders the means for building attractive, native mobile app front ends quickly and simply, without having to recreate the business logic in the underlying applications. Finally, I had the distinct pleasure of interviewing Ben Goertzel, CEO of SingularityNET and chief scientist of Hansen Robotics. You’re probably already familiar with the cornerstone of Goerzel’s work: the talking, smiling robot named Sophia. Sophia is so humanlike ‘she’ even has ‘her’ own LinkedIn page. Hanson Robotics produces the robot, focusing its efforts on Sophia’s complex, humanlike facial expressions. Meanwhile, the nonprofit SingularityNET provides the robot’s artificial intelligence (AI), running in the cloud much like Apple Siri or the consumer AI that Googl built into Android. And if AI and humanlike robots weren’t enough to drive excitement around these companies, there’s the blockchain angle as well. Goerzel’s vision is for a decentralized, blockchain-based swarm of independent contributors of AI modules, thus crowdsourcing greater diversity and innovation in AI than any one organization can muster, while keeping such advancements out of the hands of governments and large organizations. However, it didn’t take much prodding to poke holes in this utopian blockchain-infused vision. Goertzel had no effective way of keeping malware out of SingularityNET, and its token economy suffers from the same weaknesses of all such ‘shitcoins,’ as economist Nouriel Roubini so colorfully calls them. In fact, Goertzel recently announced the creation of a for-profit business, Singularity Studio, which will run a curated marketplace of AI components, thus bringing the necessary centralized control to a fundamentally flawed decentralized business model. Furthermore, the business plan for Sophia and her ilk also showed weakness. Likely, but underwhelming use cases for the robots: reminding Alzheimer’s patients who their loved ones are, and greeting shoppers when they come into a car dealership. Goertzel admits that novelty is a major factor in the demand for Hansen’s robots. However, once the novelty of a talking, humanlike robot wears off, it’s not clear whether anyone will want to pay for such an expensive toy. If we peel the onion further, however, we finally uncover the true genius behind this combination of parlor tricks and wishful thinking: Singularity’s goal of fostering a community of AI components that can interact with each other. If Singularity Studio can pull this off, then it will help drive a world where AI programs are smart enough to call upon each other as needed. Given that Goertzel hasn’t even officially launched Singularity Studio yet, such innovation is still quite a ways into the future. Where are the Other Blockchain Companies? Given the buzz around enterprise blockchain and the large number of startups on exhibit, one might have expected more blockchain companies to make my list. True, there were a good number of crypto ‘echo chamber’ startups, serving customers within the crypto community. However, given the fact that crypto has no intrinsic value, it’s just a matter of time until this entire echo chamber collapses. There were a few other blockchain apps, falling into the now-familiar ‘usual suspects’ categories like sovereign identity, tracking goods, and conducting multiparty transactions like those in real estate. After having attended a small handful of blockchain conferences, however, I realized that there was nothing new here. It seems that blockchain innovation has largely run its course, ending up with a paltry mix of limited business models. Some people compare the rise of blockchain and crypto to the rise of the Web and the concomitant dot-com boom. Well, I lived through the dot-com era, and blockchain, you ain’t no dot-com boom.